Can I Play Washington Lotto Online? Read 2 Reviews! 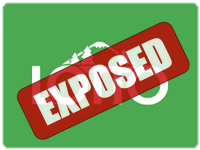 Washington Lotto Exposed — A 6 out of 49 Lottery with a Twist? By this point, you’re probably asking why we’re reviewing yet another 6/49 lottery. Well, this one is a bit different from the others so sit down, relax and put on your reading glasses. Washington Lottery’s Lotto is a lot of fun, plus you get to play 2 lines for a single dollar. The only downside is that you have to be in Washington at the time. The lotto doesn’t come with online ticket buying options, just like a big number of other state lotteries. Lotto is the baby of Washington’s Lottery – a state entity that has a range of additional jackpot games plus scratch cards. This traditional lottery featuring a 6/49 matrix came into existence in 1984. Over this period of more than 30 years, Washington Lotto has handed out prizes worth more than 1.5 billion dollars. Ever since the beginning of the lottery, the minimum jackpot has been a guaranteed amount of 1 million dollars. The guaranteed jackpot is one of the main reasons why the popularity of Washington Lotto grew quickly. With three drawings per week, Washington Lotto is now more popular than ever. There are a few features that distinguish the game from other state lotteries and we’re going to take a look at these characteristics in the upcoming sections of the article. Is Washington Lotto a Scam? As we’ve already established, the lottery is administered by an official state entity. The Washington’s Lottery was formed back in 1982 and it’s an organization operated by the Washington State government. Some of the games that belong to the Washington’s Lottery portfolio include Powerball, Mega Millions, Hit 5, Match 4, Daily Game and Daily Keno. In addition, people living in the state can choose among four different scratch card games. The Washington’s Lottery is committed to dedicating some of the money generated through ticket sales to good causes and charities. The organization is also a member of Washington State Patrol and together, they raise awareness and support the Amber Alert program. It’s easy to conclude that Washington Lotto is far from a scam. On top of getting a chance to win some nice cash, you’ll be supporting important causes through the purchase of a ticket. How to Play Washington Lotto? To attempt to win the jackpot, you’ll need to pick 6 numbers from a set of 49. Each individual playslip gives you a chance to pick 2 sets of numbers for the impressive price of just 1 dollar. This means you’ll be getting at least two entries for every single game – an option that will give you a slightly higher chance of winning anything. The cool thing is that Washington Lotto is open to US and non-US residents. Foreigners can participate in the lottery, as well, if they happen to be within Washington. All that foreigners have to do in order to claim a prize is to provide a valid permanent address outside the US. Washington Lotto has a minimum guaranteed jackpot of 1 million dollars. If there’s no winner for the respective drawing, the amount will roll over. The biggest jackpot ever won was 32 million dollars and it fell in 2000. An impressive jackpot of 9.2 million dollars was won in April 2016. Interestingly enough, the winner hasn’t stepped forward yet and Washington Lottery is still waiting for the sum to be claimed. The biggest jackpot won in 2015 was 6 million dollars and it went to a retired couple from Allyn. The couple vowed to use the money in an attempt to help loved ones. The odds of winning the Lotto jackpot are 1 in 6.99 million. Apart from the jackpot, there are 3 additional prize tiers. The second one is 1,000 dollars for getting 5 correct numbers. The odds of this happening are 1 in 27,000. The third prize tier is 30 dollars and the fourth one – 3 dollars. The overall odds of winning any Washington Lotto prize are 1 in 27.1, which is pretty nice. Prizes of 600 dollars or less can be claimed through any authorized ticket vendor. Prizes of more than 600 dollars should be claimed at the Washington Lotto office. You’ll be asked to provide an ID, the winning ticket with your signature on its back, proof of Social Security Number and a winner claim form. Winners have 180 days from the date of the drawing to make a claim. Jackpot winners have two possibilities to choose among – cash and annuity payments. In the case of a cash payment chosen, the winners will get approximately 50 percent of the announced jackpot. Yep, not the best deal out there, but cash payments usually produce a large reduction in the amount. Annuity payments tend to be much more “profitable.” These payments are made over a period of 25 years. Now, let’s get into the most unpleasant aspect of winning lottery money – taxes. Winnings that don’t exceed 600 dollars aren’t reported to the IRS. In the case of a prize of 5,000 dollars or more, a 25 percent tax will be withheld. The sum is 30 percent for non-US residents. Would you mind rating Washington Lotto? Though various websites present information about the Washington Lotto winning numbers, it’s only possible to buy a ticket in person from a licensed vendor. As far as offline lotteries go, Washington Lotto has a lot to offer. Yes, it’s not the most exciting lottery out there, but how many games give you a chance to purchase 2 lines for the price of 1 dollar. We’ve done many reviews and we haven’t seen many such opportunities. If you’re in Washington and would like to test your luck, give Lotto a try. Who knows, this could be the opportunity that you were waiting for. When I play lottos the first thing I look at is the odds of winning and not the huge jackpot prize. As odds of winnings go this game gives a pretty high chance of winning and I’m more hopeful playing this lotto compared to the big names like Powerball and Mega Millions. Compare the odds and the big games begin to seem like just a dream. Wow! Two tickets for $1. What a value. And the lotto is open to anyone from anywhere. The only problem is you can only get tickets in Washington State. No online purchasing. That’s frustrating though I don’t understand why one of the online lottery providers hasn’t added this one to their roster. It’s a cool lottery that does grow.